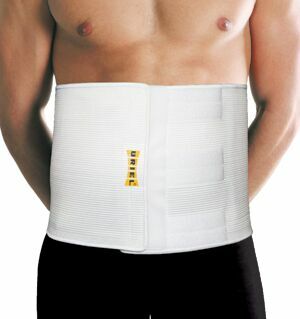 This firm, elasticized belt fits firmly around the lower abdomen and back area, secured by the attached Velcro straps. Provides compression and support for weak abdominal and lower back muscles following injury, inactivity, post-natal and abdominal and lower back surgeries. It further serves to maintain and improve posture.